Business is full of terms that seem self-explanatory on the surface but often have nuances that aren't understood or considered. The title of general manager, sometimes simply called a GM, is one of those terms. This individual has broad, overall responsibility for a business or a business unit within a larger organization. The role is particularly common in large global or multinational organizations where businesses are organized along product lines, customer groups or geographies. 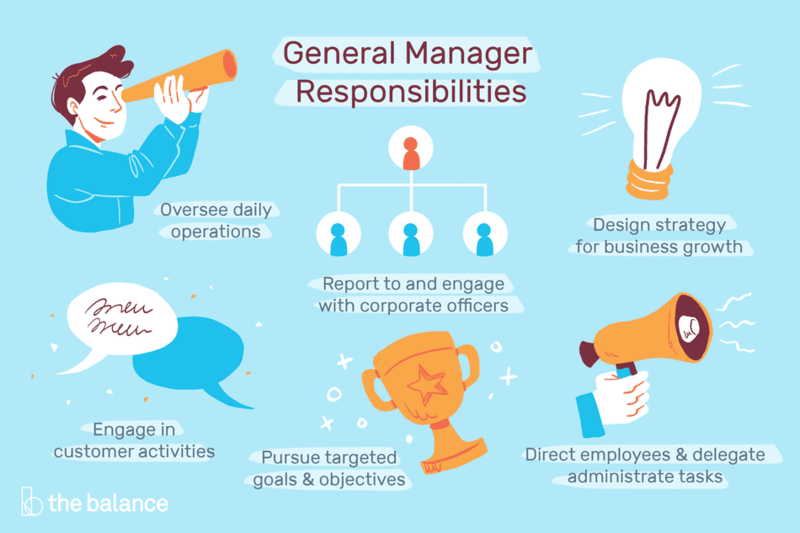 The general manager typically serves as the top executive for the unit and is responsible for strategy, structure, budgets, people, financial outcomes and scorecard metrics. In larger organizations, the general manager reports to a corporate executive, often the chief executive officer or chief operations officer. An individual in a GM role is a generalist who is familiar with all areas of the business and can coordinate processes and operations across the organization. A general manager must speak the languages of finance and accounting, operations, sales, marketing, human resources, and research and development or engineering. In larger organizations, individuals viewed as having general management potential often work in a series of assignments, rotating through the various functions and gradually growing their expertise and responsibilities over many years. General managers typically have deep industry experience, and if they don't come up through the larger organization, they most likely have long histories of working for one or more competitors within the same industry. Given the broad base of expertise and knowledge required for success in the role, general managers often have advanced degrees with emphasis on a Masters in Business Administration (MBA) degree. It's important to take certain steps if you're interested in moving toward the role of general manager. The role of a general manager isn't an easy one. A GM is accountable to his or her boss or corporate group for all the activities of the business unit with an emphasis on financial results. While GMs have a great deal of autonomy in operating within their business unit, they typically must justify significant investments as well as changes in key strategies or personnel. They have all the challenges of running a business, plus the challenges of reporting to a corporate group that is most likely focused predominantly on financial outcomes. Supporting the development of a healthy internal culture that retains key employees and encourages their professional development. Although the role of a general manager is a senior role and possibly the highest level an individual can achieve, some organizations actively draw their corporate level senior executives from the ranks of the general managers. The challenges and complexity of the role make it an ideal proving ground for running multiple business units or advancing to the role of a chief operating officer or chief executive officer.